Have more hydrangea questions? Click here to send your question(s) our way! When is the best time to plant a hydrangea? 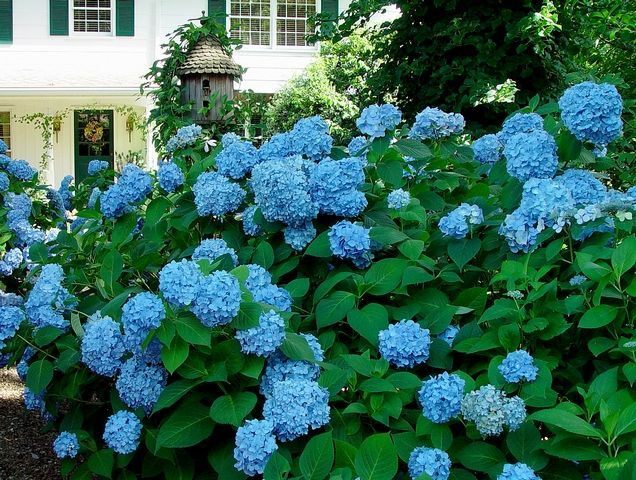 The best time to plant hydrangeas would be in spring or fall. You can also plant in the summer, but it is more stressful on the plants, and requires more attention to watering due to the extreme heat. What type of sun does a hydrangea need to grow? Hydrangeas can grow in full sun to partial sun depending on the variety. Can you have hydrangeas as a house plant? Hydrangeas are very hard to care for indoors. There are several reasons. Sunlight - you need to ensure the plant is getting the proper amount of sunlight. Without knowing the type of hydrangea your mom has, it is hard to give advice on this. Moisture and humidity - indoor plants tend to dry out faster, and there is not as much humidity indoors either. So be sure that the plant is getting enough moisture, but also not too wet where the roots rot. Overwintering - some plants require a cold period. Depending on the hydrangea, it may require a 2-3 month time frame of colder weather, so the plant can essentially hibernate. Breeding - lots of the "gift" hydrangeas you buy from the store are not bred to last long. Those plants are bred to have bigger/more attractive flowers. These types of hydrangeas are closer to an annual than a perennial blooming shrub like hydrangeas grown for outdoors. This website is all about the enjoyment and care of hydrangeas. If you have a specific question or problem, you can submit directly to us in the form below. We always love hearing from our fans and customers, whether you have questions or just want to share pictures of your beautiful gardens! We have tried to address the most common questions our readers have, but we plan on adding more articles to address other common questions we hear. Hydrangeas are a genus of over 75 species and 600 named cultivars that are native to a wide range of regions and countries, including Japan, Asia, Indonesia, Himalayan mountains, and the Americas. Another common name for hydrangea is hortensia. Hydrangeas can grow as climbing vines and trees, but are most commonly grown as shrubs. The plants can grow from 1 foot tall, all the way to close to 100 feet tall as a climbing vine! The beautiful flowers produced by this plant is what makes these so popular. Most bloom from early spring all the way into fall. The large flowers come in a variety of shapes, colors, and sizes. Many people remember hydrangeas from their childhood. Today we are falling in love with them all over again. And the good news is that we can now grow many hydrangeas our grandmothers never even dreamed of. Some newer hydrangeas grow in colder climates, some are so small they will fit into the perennial border, and others have amazingly large blooms and deep colors. The navigation should help you easily find what you are looking for. From caring for hydrangeas, like pruning, watering, and planting. To selecting which type you already have or want to plant in your yard. We have tried to write helpful information for everyone. We have included common names (mophead, oakleaf, lacecap) as well as botanical names (macrophylla, arborescens, quercifolia) so that hydrangea enthusiasts of all levels of expertise can relate to the information. Our friend Judith King took the picture above in Atlanta, GA about 1998 when Penny McHenry was still living. Penny was the beloved founder and long-time president of the American Hydrangea Society. This was her home and some of the hydrangeas which later became known as Hydrangea macrophylla 'Penny Mac'. We've partnered with Judith King and hydrangeashydrangeas.com, to create the #1 place online for hydrangea information and purchasing hydrangeas online all in 1 website! Again, if you have any questions or concerns, please use the form below and we will get back to you as soon as possible. Have more questions? Fill out the form below and we'll be in touch.